Tutuban or Divisoria has always been synonymous with best buys, good finds and affordable stuff. Since I was young, I remember my parents, aunties and older cousins mention Divi/Tutuban as the go-to place when it comes to everything you need without breaking the bank. 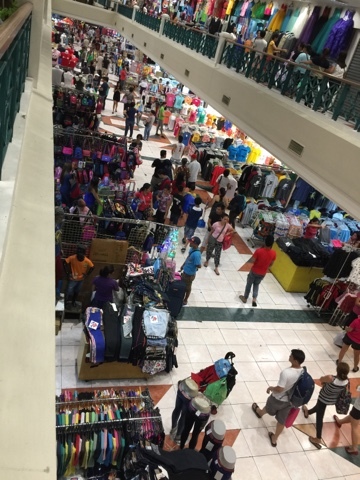 Yes, I have become a loyal shopper at Tutuban Center and the whole Divi area since the first day I've tried buying toys for Christmas presents there. Yes, there are so many cheap stuff to find, you see,cheap doesn't always mean inferior. 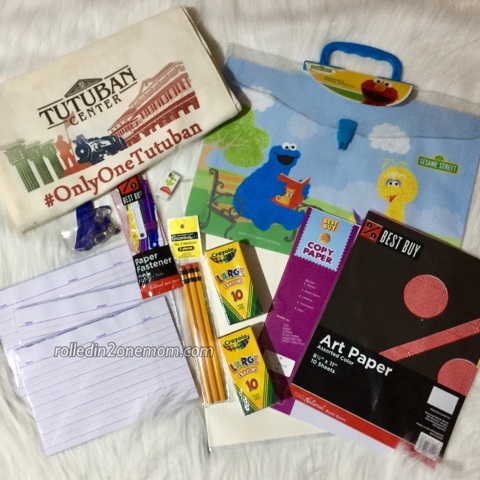 Let me show you how P1,000 pesos sufficed for me to find essentials for my son's back to school needs, something for the home and toys for both my kids too! Where Will P1,000 Pesos Take You? 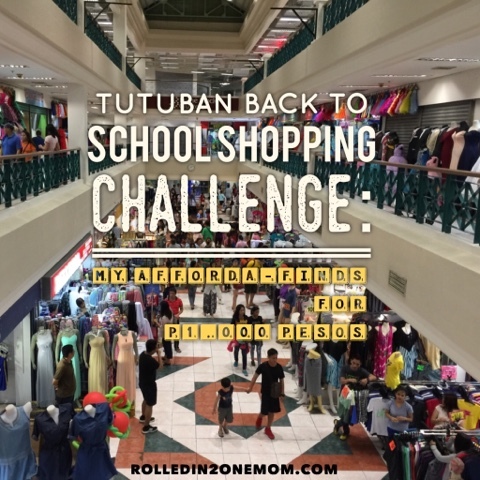 I was recently invited to join the Tutuban Back-to-School Shopping Challenge along with other Mommy and Lifestyle bloggers. The task is to be able to spend no more than P1,000 within the Tutuban area. Well, shopping was never a problem for me, give me money to spend and I will shop all day, every day! No kidding. When they handed out brown envelopes with a thousand peso bill inside, I knew this wasn't going to be difficult. I thought to myself, "Girl, this is Tutuban, you're a Mom, this is going to be a walk in the park!" 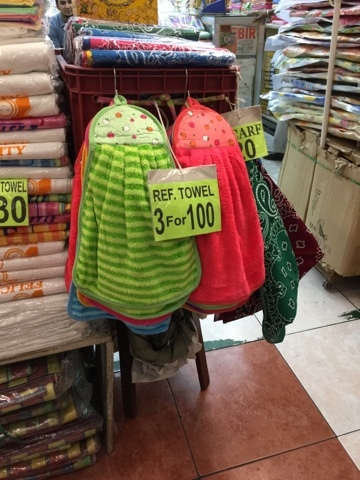 Kitchen/Ref towels at 3 pcs for P100 pesos! 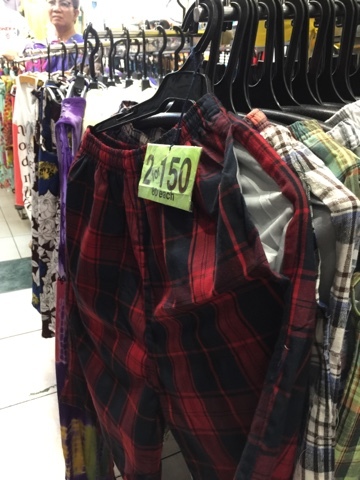 Men's shorts which you can get 2 for the price of 1. Baby clothes sold at a very affordable price! 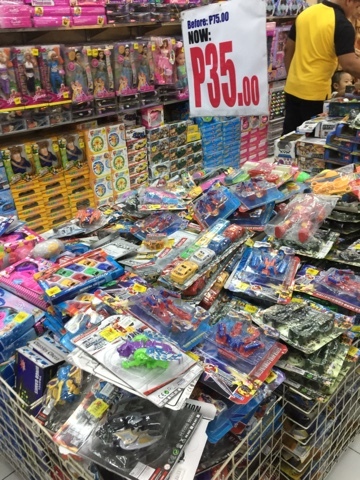 And toys sold at P35-pesos up! There are so many choices being offered at the historical Tutuban Center that one whole day may not seem enough. Going back to the Tutuban Center Back To School Shopping Challenge, let me show you what I was able to purchase for only P1,000 pesos! • Sulit Buy/s - we were tasked to buy at least one affordable buy that our money can afford. I got these men's shorts for my Dad at 2 for P150 pesos. • Home Essentials - there were so many options for everyone when it comes to your needs for your home. From displays, bath towels, and artificial flowers, name it they have it! I opted to buy this really comfy fleece blanket for mty niece. The blanket was sold to me for P150. • School Supplies - okay, pardon me for not looking for cheaper school supplies store but yes there are definitely others inside Tutuban. I opted to buy Choi's school stuff inside National Bookstore. I had a list of everything he needs and I got them all for P466.50. Sorry I went overboard, it is my son's first time! •Toys - lastly, I went around to check where to find toys. I brought Choi with me who went crazy when he saw all the toys! But of course, I was a Mom on a Mission so I went straight to the toys my remaining money can afford. I got building blocks for Choi and a rattle/teether for Chai! Both for P250. The over-all total of my great buys is: P988.50. Wow! Imagine getting all of these for only P1000 pesos! Well, I got excited over the many finds, I also decided to buy a baby terno for my baby girl Chai using my own money for P50 only! I admittedly wanted to shop more but then again, it's a challenge. I'm just glad that I was able to get all the required items on the shopping list and at the same time bought the items my family needed. • Wear comfortable shoes and clothes - the place is huge with so many options, one whole day is not enough. • Bring a shopping trolley because with all the walking and shopping, you won't be able to stand carrying your bags around all day. 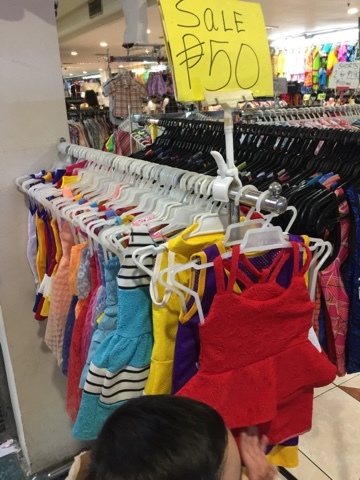 So if you still haven't bought your children's essentials or you simply want to score some great buys, I suggest you head on over to this part of Manila and get your much-needed shopping fix! 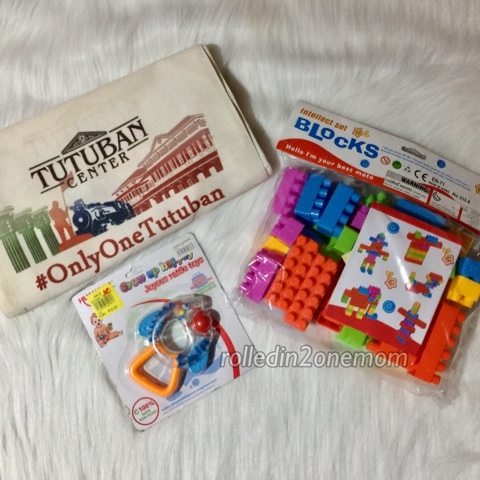 For more information, check-out their website here: Tutuban Center.